Wytch Farm in Dorset is in the heart of an Area of Outstanding Natural Beauty. But you would be forgiven for not knowing the largest oilfield in western Europe is even there. Nestled in a pine forest near a nature reserve and on islands off Poole Harbour, the oilfield owned by French company Perenco has been quietly producing thousands of barrels a day since the late 1970s, by means of a form of fracking called ‘water injection’, also known as ‘water flooding’. At one point the oilfield had the longest horizontal drill in the world and has regularly pumped water into wells to “fracture” the rock and force out oil and gas. Academics say that this so-called “fracking” has been used on 200 wells across the UK over the last 20 years or so. Now the controversial technology of ‘hydraulic fracking’ is making headlines around the world. In Balcombe, West Sussex, locals have staged weeks of protests, ending in more than 30 arrests.In contrast, the local community around Wytch Farm appear relaxed about the "discreet" operations happening in the heart of their community. Tony and Kate Bryan, both retired, from Corfe Castle, the village two miles north of the oilfield, have been on one of the visits to Furzey Island to see the oil refinery in action. Mr Bryan said occasionally you see a drilling rig poking above the trees or a “nodding donkey” on the coast but most people do not know it is there. “We have never had any seismic impact that we are aware of and you have to get your oil from somewhere. Most of the tourists eating ice creams and wandering around the National Trust castle were unaware that “fracking” is going on around the corner. It certainly does not seem to have affected property prices. In Poole, which looks out on the main offshore activities of Perenco, properties go for millions. 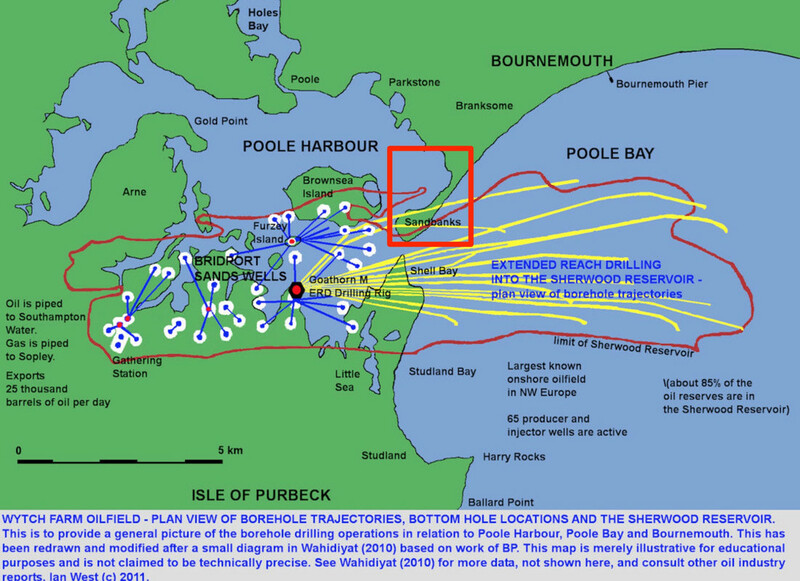 Purbeck Property, the local estate agents, said the proximity of an oilfield has not had an adverse effect – yet. Dean Watts of Purbeck Angling is Chairman of the Carp Angling Protection Society, but he said no fishermen have yet complained about leaks into the groundwater. He said there are footpaths, bridleways and even fishing ponds close to the main operations in Wytch Farm but it is still quite peaceful “you occasionally hear a whining noise but other than that you wouldn’t know it was there”, he added. 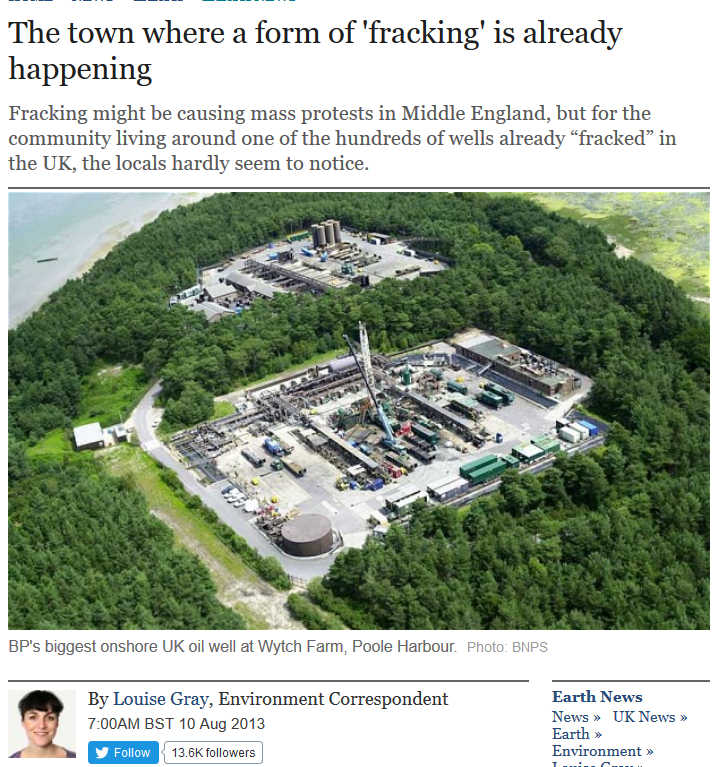 Even Frack Free Dorset admit that Wytch Farm has not caused environmental problems so far. But they insist that the long term risk from hydraulic fracking is a serious concern as drilling for oil and gas in the area massively expands and more “shale gas” is discovered. Peter Style, Professor in Applied and Environmental Geophysics at Keele University, said that fracking first happened in the UK in Lincolnshire in 1988. He said fracking was mostly used in the UK to get the last out of old oil and gas wells. Since 1902 2,152 wells have been drilled in the UK. There are currently 250 to 300 oil and gas wells operating in the UK. Perenco refused to give details of fracking at Wytch Farm but admitted that hydraulic fracturing happened at the oilfield after it was highlighted in a Royal Society report. “Well stimulation techniques, and produced water and seawater injection have been used at Wytch Farm for many years,” said a spokesman. In the next few years, the UK is expecting the biggest acceleration of onshore oil and gas since the Second World War, with tax breaks already announced and 176 licences issued. Environmentalists are concerned that the drive will push out renewables and risk pushing up carbon emissions. Richard Davies, Professor of Energy at Durham University, agreed fracking has been going on in the UK for decades. He said the risk is fracking for shale gas. Prof Davies explained that unlike fracking for conventional oil and gas, fracking for shale gas requires multiple wells and has only happened in Lancashire so far, where it caused a small earthquake. Durham University has published peer-reviewed papers explaining that earthquakes and contamination of aquifers are unlikely with this sort of fracking. However he did say that it could cause the “industrialisation” of the countryside because of the number of wells and the traffic. In northern England alone it will require “thousands” of wells to extract just ten per cent of the shale gas reserves, he said. “For me the fracking is not the problem, it is the number of wells and the traffic,” he added. “Industrializing the country side” bloody hell, what do you call windfarms, a tulip farm? It’s a deliberate deception in the name, that’s what it is. Wind industrial complex is truthful, but not so friendly sounding. Agreed. Those wind turbines are larger and more damaging than an oilfield and they don’t ever go away. Only a fool says wind farms are more ecofriendly. I have seen a pump jack a few hundred feet from a house. It is NOTHING like a wind turbine a few hundred feet from a house, which I have also seen. Wind turbines are an assault on nature and the environment. It should be used every time someone complains about Fracking. That statement needs a great deal of explanation! However the government has already issued more licenses than are needed because it does not understand just how large our shale deposits are and how much oil and gas they will produce. Technology also moves on and more and more wells are able to be run from a single site. But ripping up the countryside for outrageously expensive and inefficient wind turbines is OK.
Not to mention the mono-culture, pollution and thousands of vehicle movements a year associated with anaerobic digesters. Yes Phillip, ripping up the C roads in my area, causing potholes of third world proportions, affecting the lives of the locals and costing the Council a fortune in repairs when and if eventually funding is found. And of course we pay twice for the privilege, once for the repairs and again on our electricity bills to fund the poor landowners and their hooray henry land agents, all living the high life off our discomfort. roger: you don’t live near me in Devon by any chance? Actually “fracking” has been used in Pennsylvania since the Drake Well in the 1850’s. My grandmother’s uncles were in the early PA oil business. They were from Meadville, PA. I have their beautifully written log books. As I won’t be using them, but they have valuable information about the early industry, I am going to find a museum in the northwestern area of PA which has a research library for the oil industry and offer them the books. I am sitting next to the 2-piece Brawley Brothers’ desk which they used. One died without heirs and left his estate to my great-grandmother who kept house for them in the oilfields prior to her marriage. Because of the money from him, my grandmother went to Allegheny College, graduating in 1894. About when Edward the Martyr was assassinated at Corfe Castle? Told you it had been around a long time!! I would stand to be corrected but I thought that at Balcombe there were just drilling an exploratory well and not fracking. If true, it only goes to show the ignorance of the greenies protesting there. It must be true, Fiends of the Earth & numerous anti-frackers tell us so. 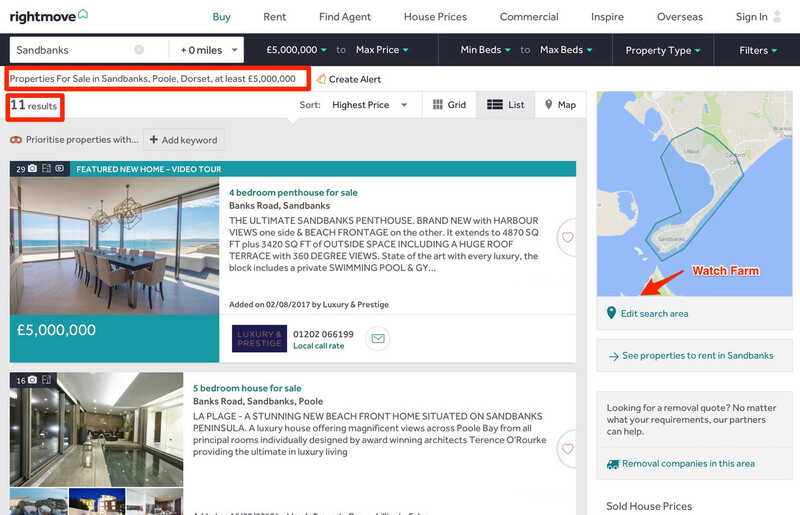 Sheri: you might like to check out property prices on Sandbanks. £5m is not small change. The property owners were very forceful in attacking a proposal to build a wind farm out in the bay, which would have affected their views across to the Needles on the Isle of Wight. That would have damaged their property values. Fortunately they were successful. The point is that property values have been unaffected despite decades of operations at Wytch Farm, which has produced more energy than all the current generation of UK onshore wind farms will manage in their lifetimes. We haven’t seen or heard any trace of Loopy Louise for a long time. Do we know what has happened to her, Paul? Yes, I wondered that. Last time I had to do with her was in 2009 when we set up the Copenhagen Climate Challenge. Perhaps she was disappeared having produced an article of quality and truth. Replaced by Silly Jilly. When I worked on equipment for Wyche Farm it was owned by BP. I didn’t know they no longer did and have never heard of Perenco. Yes Gerry, my pension provider (BP), has sold off most North Sea and a lot of overseas less profitable ‘smaller’ enterprises. Much to my disgust they have converted to the global warming religion and now worship at the shrine of the godess Gaia. Being pedantic, water-flood is not fracking. The latter is associated specifically with very low permeability shale. Water flood merely displaces the hydrocarbons from conventional well strata as a secondary recovery technique. The low permeability here and in the US is the determinant of success or failure. Never-the-less it is obscure nonsense to discuss what it takes to produce ten percent of the gas in place – how much is ten percent of an unknown? My own assessment based upon the deliverability of Marcellus shale is that it will take around five hundred wells to produce ten percent of UK gas demand (about the same amount of gas the great Morcambe Bay field). Vernon, having spent 20 odd years with BP in the Forties field when we were pumping 500,000 bpd. Right from the start we were injecting 50,000 barrels of sea water into the reservoir daily. So no, we did not consider it fracturing, it was called water injection. You are not being a pedant. The only time I came across fracturing was when Schlumberge fired their explosives through the deep casing to allow the oil to flow up. Shale fracking definitely does cause shallow earthquakes. In parts of UK we have tunnels and coal mines that have been left idle under us and the idea of many small earthquakes is scary, especially where they have been used to store spent radioactive waste from places like Sellerfield. The “hub” of the nuclearindustry is at the entrance to Catcliffe pit. In US where they have large areas for shale fracking and regular small 2.5-3.0 earthquakes, they have solid rock beneath them. I suggest you mug up on what “small 2.5-3.0 earthquakes” actually mean. The Richter scale measures the amount of energy released during an earthquake. Each unit increase in the Richter Magnitude represents a tenfold increase in amplitude. So a level 4 earthquake has an amplitude 100 time that of a level 2. Level 1 – 1.9 is only detectable by a seismograph and occur every day. Level 3 – 3.9 is roughly equivalent to somone banging a door, or a lorry passing. Level 5 – 5.9 may cause plaster damage and move furniture. And so on up to 9, which is devastation. Worrying about occasional barely detectable tremors is absolutely ridiculous. Before our Beloved Leaders closed down the coal mining industry, stronger tremors were experienced in mining areas on a monthly basis. Note the use of that deadly chemical – Marmite! In terms of seismic activity, it should be noted that the natural filling and depletion of ground water, changes in water level of reservoirs, and tides, etc can cause it. Natural forms of hydraulic fracturing happen all over the world. Large events are usually rare and one-off because they are the release of already present stresses. Indeed water injection has been tried as a means of inducing small, ‘controlled’, stress-relieving, earth quakes in order to prevent major occurrences that might otherwise be catastrophic.